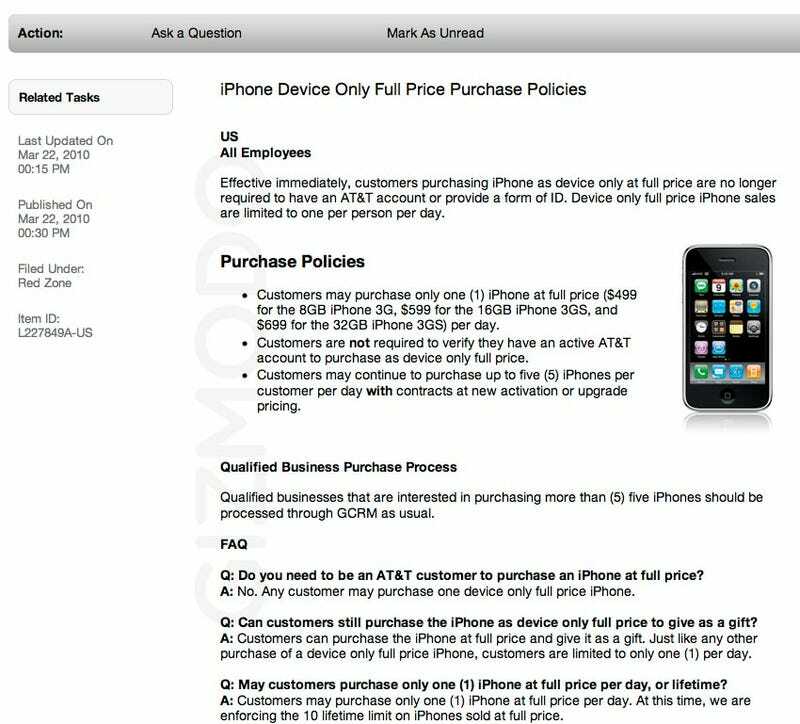 • Customers are not required to have an AT&T contract. • Customers can only purchase one iPhone per day. Is that easy. Then it's up to you to unlock it. The price is $499 for the iPhone 3G 8GB, $599 for the iPhone 3GS 16GB, and $699 for the 32GB top model.